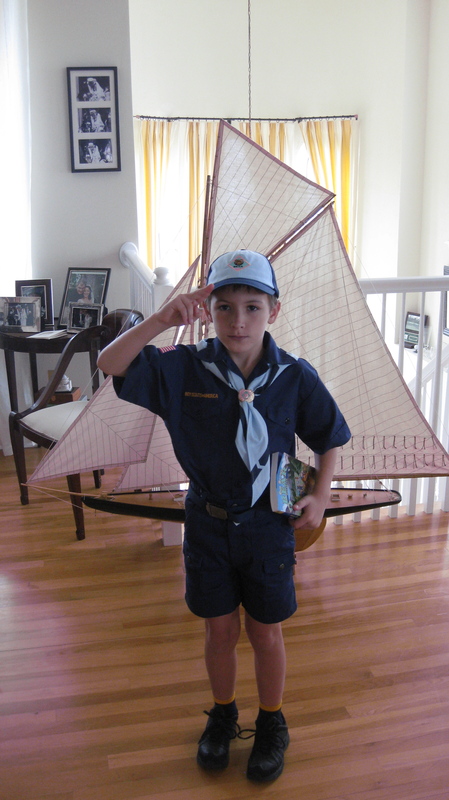 Me in my Cub Scout uniform making the 2 finger salute. Its been a long time between posts. I am now back in school and have been since August 10th. I am in Mrs. Skelly-Saldino’s 3rd Grade at St. Elizabeth Ann Seton Catholic School. I am not playing soccer this year but rather I am still playing tennis and have been introduced to the sport and art of fencing. I have now been to 4 practices and I really like it. 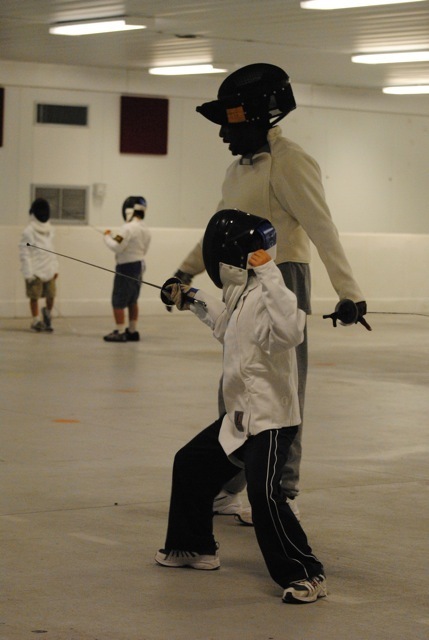 I am fencing the foil which is what all the other kids use also. There are 4 other boys in my group, one is in high school and the others are my age or younger. I have all the equipment needed for learning the various moves in fencing. I am learning to squat, advance, extend, lunge, retreat and parry. These are the basics. I am also learning saxophone this year in after school band practice but I am just starting that also. In addition, I am in Cub Scouts and a Bear. I have only had one official den and pack meeting so far. I will try to keep everyone up to date as things happen there. Here is a picture of me in my gear and with my coach. Learning the proper position for advance and lunge. ← Planes, Planes, and More Planes!